Over 300 samples of Russian defence products will be presented at the air show and exhibition in Bangalore. Rostec Chief Executive Sergey Chemezov says Russia is ready to expand its participation in the Make in India programme. The Rostec State Corporation will present the latest Russian developments in aircraft technology, air defence and radio-electronic warfare at the Aero India 2017 exhibition in Bangalore, the company said in a press note. Over 300 samples of Russian defence products will be presented at the air show and exhibition that will be held in Bangalore from Feb. 14-19. Rostec holdings such as Russian Helicopters, KRET, Technodinamika, UEC, Schwabe and Tecmash, as well as the military products exporter Rosoboronexport will be represented at the 900-metre Russian pavilion at Aero India. “Aero India 2017 is an important event for the Indian and regional aviation market. India has for many years been a strategic partner of the Rostec,” the Russian state corporation’s Chief Executive Sergey Chemezov said in a statement. He added that Russia is already participating in the Make in India programme with the establishment of a joint venture for the production of Ka-226T. “Now there is active implementation of this project. We are also working on the expansion of cooperation in various fields in accordance with the program – in the traditional sphere of military-technical cooperation and in non-military areas: electronics, biotechnology and composite materials,” Chemezov said. Rostec’s holdings will display the Su-35 fighter jet, MiG-35 frontline fighter, Il-76MD-90A transport aircraft, Be-200 amphibious aircraft, Ka-226T light helicopter, Mi-17V-5 and Mi-26T2 military-transport helicopters, as well as the Mi-28NE and Ka-52 combat helicopters. Visitors to the air show and exhibition will also be able to see the S-400 Triumf system, the Pantsir-S1 complex, Tor M2KM complex and the Igla-S portable complex. Russian Helicopters plans to display a passenger version of the multi-purpose Mi-38 helicopter. The Mi-38 is one of the most highly automated civil helicopters in the world. It is superior to other helicopters in its class in terms of payload, passenger capacity and basic flight characteristics, Russian Helicopters said. The helicopter can be used in a wide range of climatic conditions, including marine, tropical and cold climates. Russian Helicopters also plans to present the light multirole Ansat helicopter. A training variant of the Ansat is currently being operated by the Russian Aerospace Forces. The Russian armed forces have 40 units of Ansat-U helicopters. 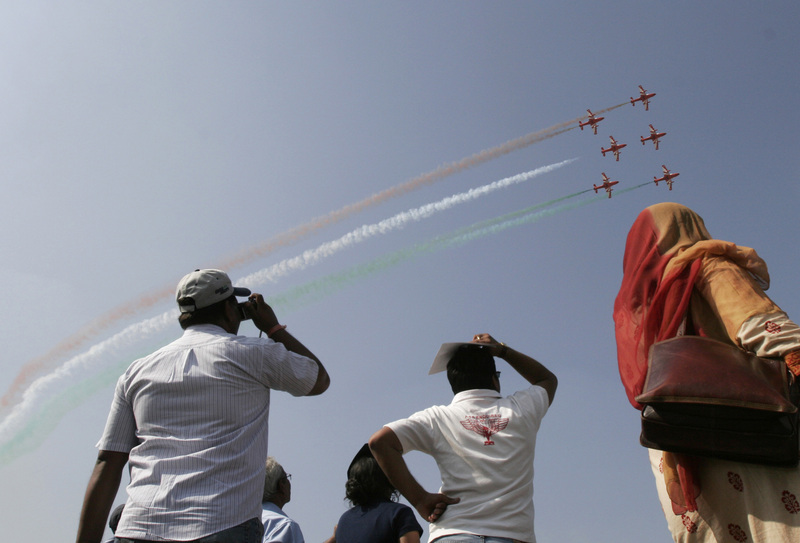 A total of 549 companies (279 foreign) from 51 countries will participate in the 11th edition of Aero India. The air show and exhibition will be staged in an area of 27,678 square metres.